Reuben Sydney Goddard lived at 22 Pine St Newtown. He died in office in July 1948. Goddard was a railway station master. Goddard Playground on O’Connell Street is named for Reuben Sydney Goddard. The playground was established in the 1950s. 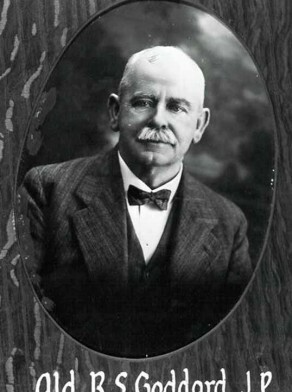 Reuben Sydney Goddard was an alderman of Newtown Council in 1926-48. He was its mayor three times: in 1930, 1935 and 1948. He died in office and was succeeded by Ernest Wright. Goddard represented O’Connell Ward, except from 1941 to 1943 when he represented Kingston Ward.